The tipping point for consumers to begin using contactless payments technologies will be when at least 40% of merchants are equipped with compatible POS terminals, according to a survey by First Data which also found that banks are the trusted and preferred provider for mobile wallet solutions. A survey of consumers in the UK & Ireland, Germany, Australia, Poland and the Middle East has found that 40% of merchants will need to be equipped with contactless point-of-sale terminals before consumers begin to use the technology widely. Cash remains king: Despite the growth of debit and credit, cash is still the most frequently used method of payment with 46% of survey respondents collectively stating this as their preferred method. Cash is the most commonly used in the Middle East (by 66% of consumers) and Germany (58%). In Poland, it is used as frequently as debit cards (both 44%). Only in the UK & Ireland and Australia is cash used less frequently. Debit (39%) and credit (37%) respectively are the most common payment methods there. Contactless payment adoption has been lacklustre in all countries: While contactless payments have been available for several years in the countries surveyed, ownership of cards is very low. However, coupled with the likelihood of using a contactless card if they had one, the Middle East (70%) and Poland (57%) showed the greatest appetite for the technology, with Germany (31%) and the UK & Ireland (26%) lagging in comparison. More than half of respondents collectively had security concerns but 70% suggested they would consider making contactless payments once they are accepted by at least 40% of merchants. Mobile payments expected to prevail in most countries, but security concerns remain: The likelihood of using a mobile device to make payments is highest in the Middle East (58%) with Poland suggesting a similar appetite (51%). In contrast consumers in the UK & Ireland (25%) and Germany (30%) indicate more reticence. Security concerns remain a barrier to adoption across the board with respondents most fearful of payment information being compromised (68%) and losing their mobile phone (64%). Mobile wallet appeal driven by apps beyond payments: Consumers in all markets expressed interest in using a mobile wallet and mobile apps to not only pay for products and services but also for everyday expenditures, such as travel and memberships. While Polish respondents showed the greatest propensity to use a mobile wallet straight away (32%) all markets indicated a ‘wait and see approach’, suggesting they will eventually move to mobile wallets once they are generally accepted and available (Germany 60%, Middle East 74%, Poland 61%, UK & Ireland 51%). Banks are the trusted and preferred provider for mobile wallet: More than half of all international consumers would choose their bank as their mobile wallet provider, followed by PayPal, which was chosen by 12% of respondents. Security concerns remain a barrier with nearly three quarters of consumers fearing their payment information would be compromised or that they would lose their phone. “Consumers in the Middle East and Poland clearly have a strong appetite for new ways to pay for their goods,” says First Data’s John Elkins. “Indeed, we could well see these markets leapfrog contactless and go straight to mobile payments. For merchants in these countries the message is clear — consumers want these technologies now. 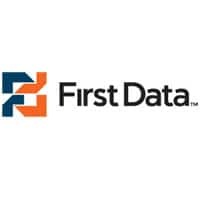 Readers can download a white paper providing details of the survey’s findings from First Data’s website.